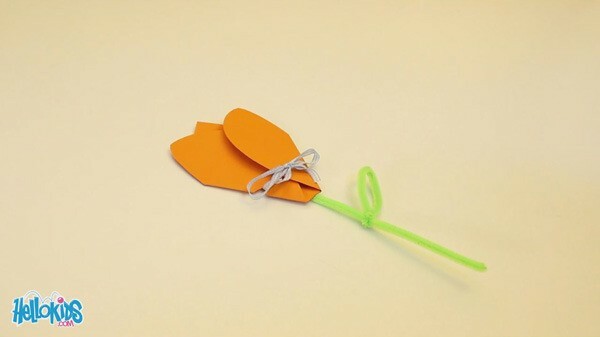 In this tutorial, you are going to show you how you can make a very special flower-shaped card. You will even be able to write a message inside it! First, print the template of flower on the cardstock paper. 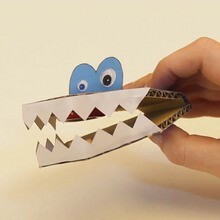 Cut out the template and fold it along the dotted lines. You can draw or write something inside the flower. Cut up the notches on each side of the flower. 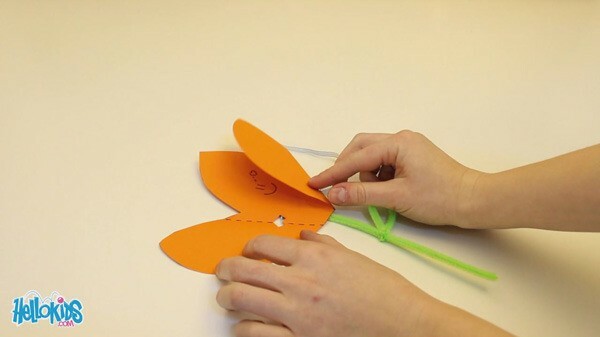 Cut the pipe cleaner into two and glue the longest bit on the back of the flower. Fold the other half to make a leaf, and tie it to the stem. Finally, run the raffia/ribbon through the notches and tie a nice bow on the front of the flower. 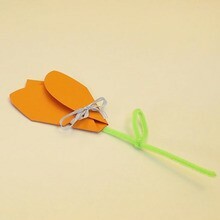 Your flower card is now finished, the person to whom you will give it, will just have to untie the ribbon to open the flower and read your message! This would be a beautiful card for Mother's day!